It’s a rather beautiful barn I think. It sits on the side of the hill just down from my studio. I’ve always wanted to do something with it. It has a lot going for it – its size, its proportions, the way it clings to an impossible slope, the backdrop of little peaks in the fells behind, the way it draws your attention from the road – half a mile away. In many ways it sums up the this remote, isolated, hostile landscape. Once this was a thriving agricultural landscape. It still is an agricultural landscape – there’s not much else you can do in these hills. 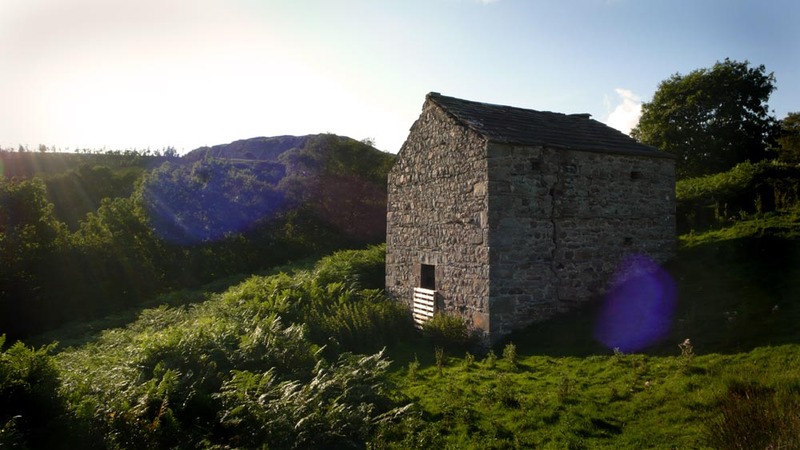 There’s two main features of the uplands of the North Pennines – field barns and Swaledale sheep. The barns were built to store feed and provide essential shelter from the harsh winters. This barn is a typical field barn in this part of the North Pennines where the agricultural history goes back to the Vikings and has many similarities with the upper parts of the Yorkshire Dales. This particular barn was probably a Hogg House – hoggs being sheep in their first year. In bad weather the sheep were herded into the barn overnight, or during the day if it was seriously bad. These barns date back to the late 18th Century and in turn replace wooden structures on the same site. In a way, these barns have always been there. The hogg houses were largely made redundant through the breeding of sheep who could withstand the driving rain and snow by taking shelter behind drystone walls. As hill farming in the latter 19th Century moved from an existence model to a more commercial model so livestock was bred to save money and time – sheep were bred for their resistance to disease as well as adaptability to the landscape. Different breeds cope with very different landscape environments. In a way, the demise of the barns was due to the success of the Swaledale sheep. I want to somehow link the barn with the sheep breed. As it is, it clings to the hill like the sheep, but I also like the relationship between the barn and the breed as points in the history of agriculture and this landscape. The Prince of Wales is heading up a campaign for wool and part of that is the creation of a National Wool Week in October. The dates this year coincide with the annual Tup Sales in Kirkby Stephen – one of the biggest events in the Swaledale breed’s calendar. It seems fitting therefore to try and do something as part of that. Without funding or a commissioner it has to be something fairly straightforward to do and affordable for me. First off though was to ascertain the state of the barn and environmental issues. There are birds nesting inside, and I’ve also seen bats flying about who may well be living in this barn so whatever I do I’ll have to leave all entrances open and not work inside. There’s also a very worrying crack down one wall which definitely rules out doing anything to encourage people to go inside. There is a thick patch of bracken on the western side, although the current sheep have kept it clear fog the barn all around so there’s easy access to the whole site. Here’s a computer model of the barn I made from some initial measurements and photos. 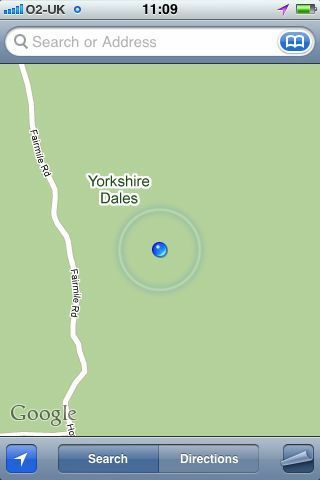 At this moment I’m somewhere on the Howgill fells again. I can see the M6, Lambrigg windfarm and the old viaduct near Beckfoot, however if I had to give directions to someone else then I don’t really know where I am. I sort of followed some roads out of Sedbergh in an upward direction. When the road I was on went into open fell then I pulled over and walked up the fell beside me. Routing through boxes in the spare room I found the Snark Hunting Map my wife bought for me for my birthday a few years back. A map they could all understand. “They are merely conventional signs! “Other maps are such shapes, with their islands and capes! In fact this map predates Carroll. Mine comes from the late 18th century and was probably from a vast book of carefully drawn maps. 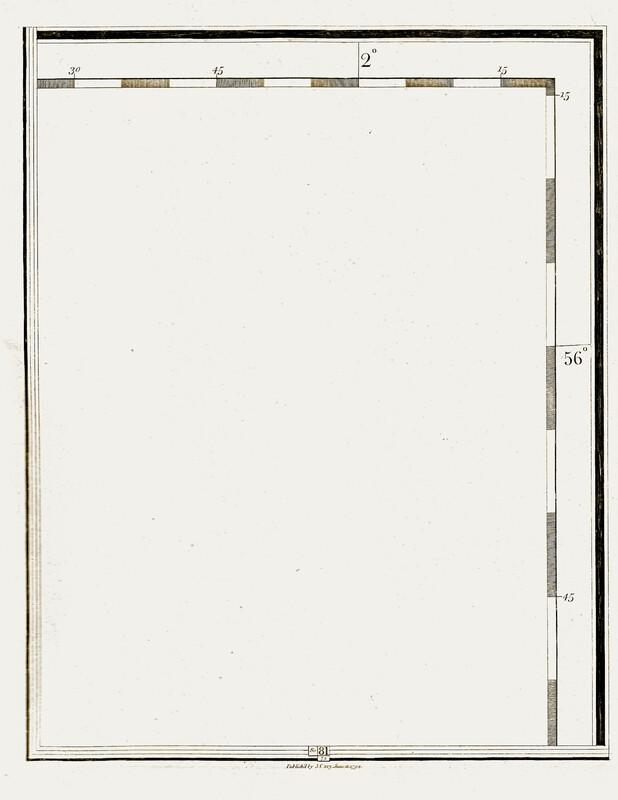 I presume it’s a page of open sea or desert, but could easily be any featureless landscape. In isolation the map is meaningless but probably made sense in the context of the book. Another map from this week was the draft map of a trail of some of my work being devised in a forest somewhere. I can’t say what or where yet as it’s all top secret at the moment. All the pieces are in place now and apparently look fantastic. Still, I now have a map of where they all are so I might go and have a hunt for them myself soon. It’s a fine Sunday morning and what better place to write my first proper post than from the side of a hill overlooking Sedbergh and the Howgill fells. The joy of technology today means that thanks to the marvels of companies like Apple (I’ll claim the name as rural while I’m at it), I can sit here on a rocky outcrop and pen my words to the world just as well as anyone living in say New York, or Rome or Baghdad for that matter. Consumer technology has become a great leveller, not only bringing the world closer together but also removing many of the geographic obstacles allowing people to live and work with more geographic freedom. This applies to artists too. I recently stumbled upon this blog in the states. It reminded me so much about my attitudes to contemporary rural art and issues that I guess it was the final incentive to write my own blog. More over it was this post about a photographer in rural Wisconsin that got me thinking – what makes art from rural areas different to that produced by urban based artists? Certainly it’s not just down to geography. An imminent exhibition not far from here shows more than anything else that artists outside London can produce much the same work. Valuable in itself as it demonstrates the iPhone effect – that of geographic irrelevance. However, I believe there’s more to contemporary rural art than just where it was made. Maybe it’s more to do with cultural reference points, palette, texture, politics (with a small ‘p’ whatever that means). A different point of view (philosophically as well as aesthetically). There are some things technology, as yet, can’t level. There are still some things you can only do or get in the countryside. In the same way, there is some art that just can’t be made in an urban environment. On a another rocky outcrop on another hill opposite where I sit, George Fox founded Quakerism. A move so radical at the time he could never have done so in any city. Welcome to my blog. Obviously, at the time of setting this thing up I am full of good intentions and kidding myself that I’ll post here frequently, although the reality may well end up otherwise. Generally speaking I’ll be writing about art, rural stuff, rural art, and surviving in the artworld from the top of a mountain in Northern England. Some will be new stuff, some will be stuff my stuff published elsewhere, and occasionally stuff posted by other people. All comments, good or bad are welcome – dialogue is good. Whistle round the Toon. part i.